Hi. I've started a new Facebook group called "I use memverse.com for my Scripture Memory" http://www.facebook.com/group.php?gid=261110551457&ref=ts We'd love for you to join us there for mutual encouragement and discussion about Scripture memory and how wonderful memverse is. This could also be a great tool for introducing many people to memverse by inviting all your facebook friends to join the group. 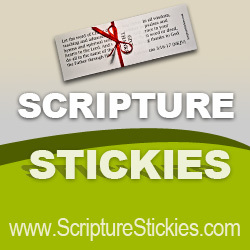 I pray that as this site gets better and better, we will be dilligent and creative in spreading the word to others who would be interested so that they too can use Memverse to memorize Scripture and get to know the true, Biblical God better and better through His Word for us.